Enjoy lush fairways and vintage Florida scenery along Florida’s First Coast at the Eagle Landing Golf Club. Tucked away in the Oakleaf Plantation community in Orange Park, the club features classic holes and luxurious amenities. Read more. Ever wanted to play the church pew bunkers at Oakmont? Oakleaf Plantation’s 18-hole Champion golf course Eagle Landing Golf Club tees up classic golf with luxurious amenities for half the price. 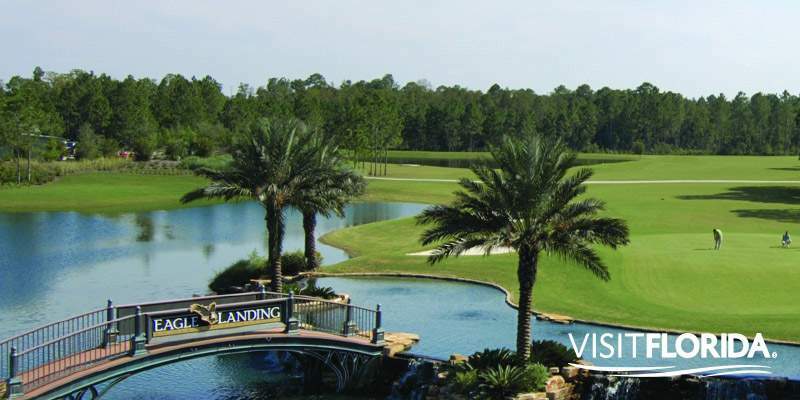 Book your trip to this resort-style golf community along Florida’s First Coast today! Enjoy lush fairways and vintage Florida scenery along Florida’s First Coast at the Eagle Landing Golf Club. 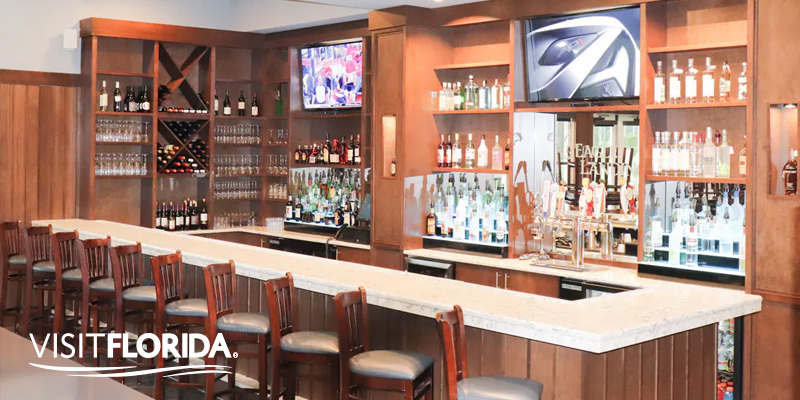 Tucked away in the Oakleaf Plantation community in Orange Park, the club features classic holes and luxurious amenities including a clubhouse, athletic club, and village store. 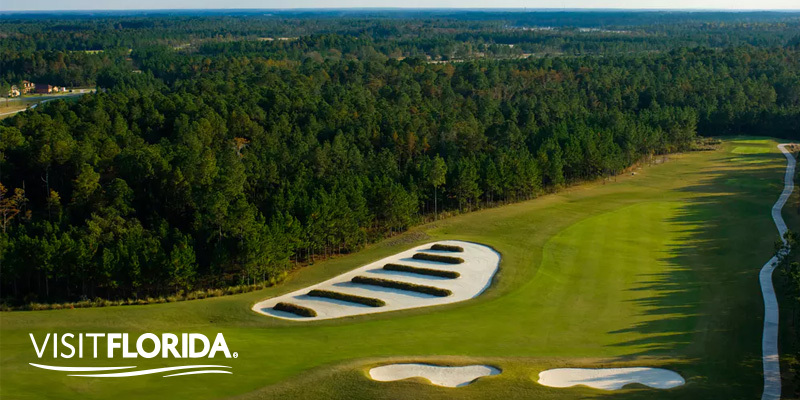 There is something for everyone at this friendly and affordable golf destination near Jacksonville, Florida. Clyde Johnson designed Eagle Landing's premiere 7,037-yard course. The par-72 gets progressively harder as it goes, winding delicately through Southern pine and palmetto trees. Their Reden, Eden, and Cardinal holes offer a scenic challenge through the breathtaking course. When you’re not playing, you can enjoy all that the clubhouse has to offer. It features a sports bar, fully-stocked pro shop, his and her locker rooms and more. You can also take in views of sparkling water and lush landscapes while you dine in the elegant dining room or sip specialty cocktails on the veranda. Eagle Landing Golf Club is proud to offer fun and affordable packages for visitors and their families. You’ll find courses and rates for every pocketbook. Ready to book your next golf getaway? See more about the Eagle Landing Golf Club and take a look at our golf packages, tee times and lodging.